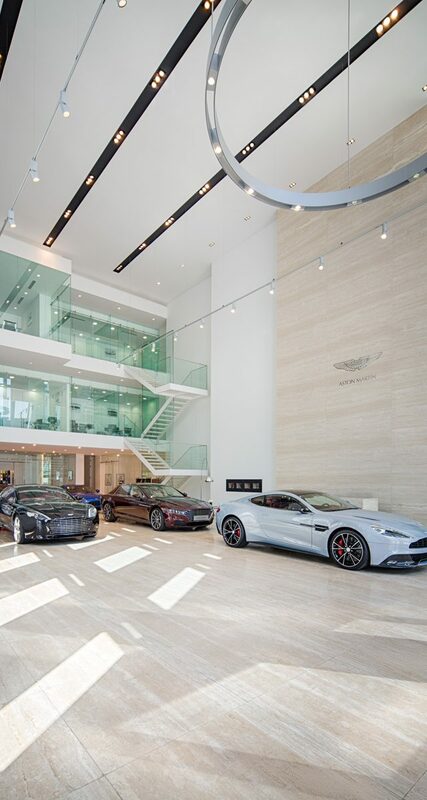 Aston Martin is an iconic British car maker, with the highest standards of design and customer care. 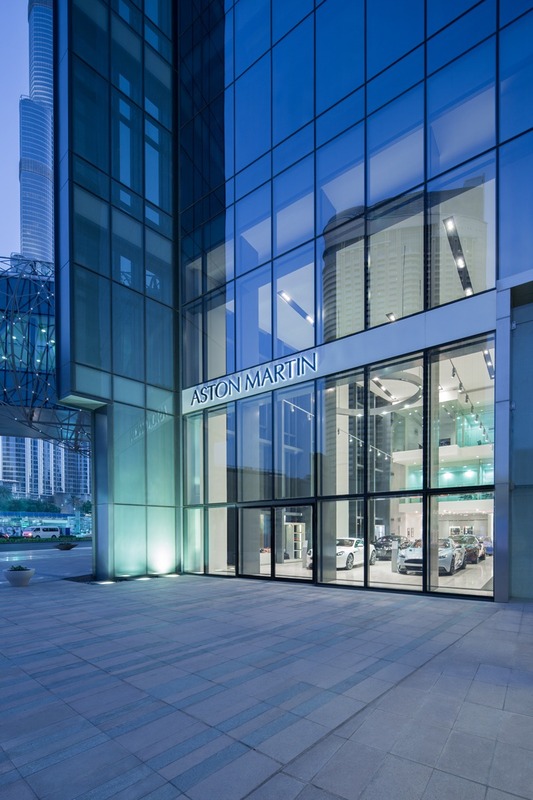 After 20 years association with their local sponsor, Aston Martin MENA looked to project their brand in the Middle East market with a new showroom on Boulevard Plaza , opposite iconic Burj Khalifa. 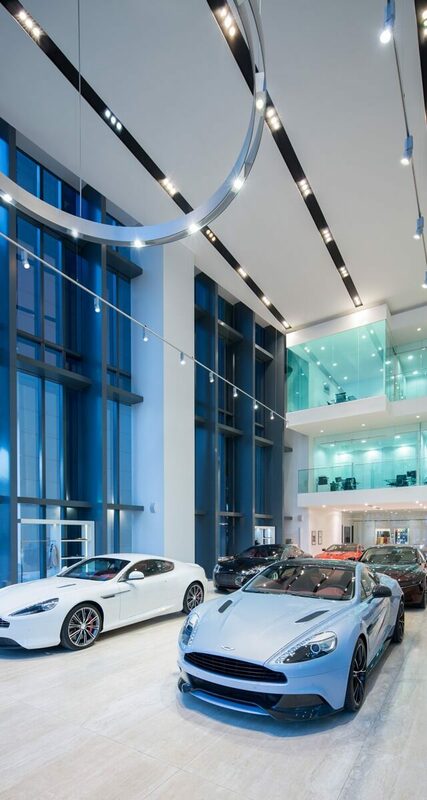 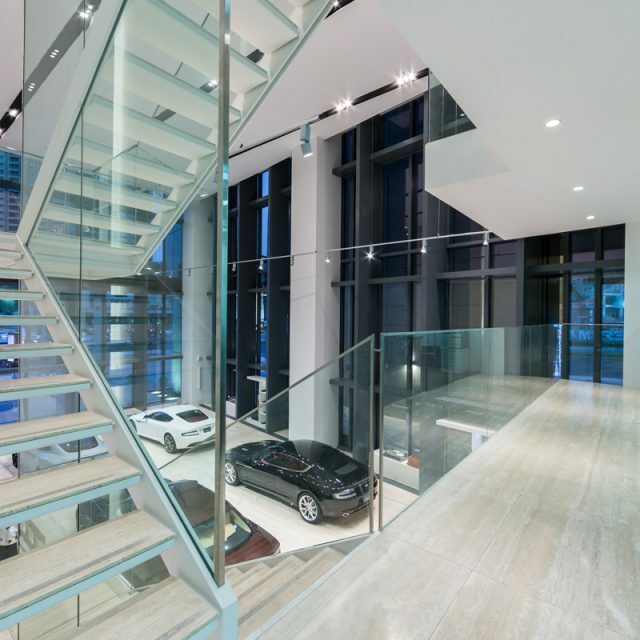 The customer experience is paramount, and the retail tenancy selected is an 11 meter high space car showroom on ground level and the management functions on the mezzanine and level 2. 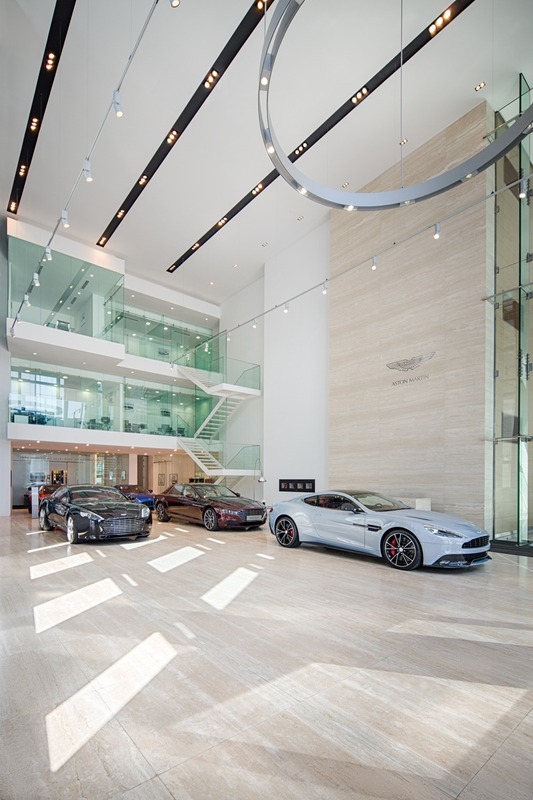 Opened in 2014, this project was entirely designed and managed by us on behalf of Aston Martin MENA, with significant co-operation from the UK Head Office of Aston Martin at Gaydon. 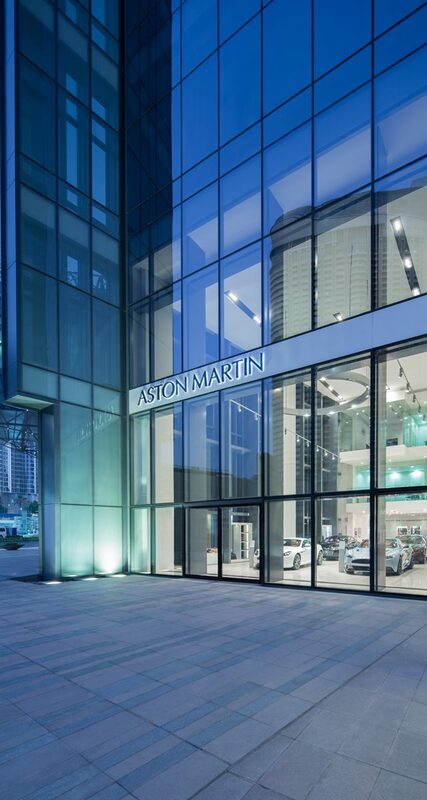  The strict following of corporate identity guidelines for materials and furniture has made this a challenging and rewarding project. 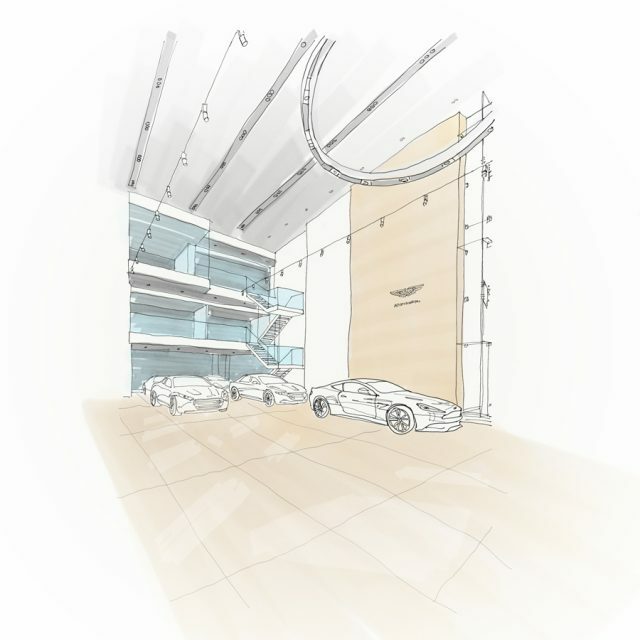 The vertical aspect of the space creates a feeeling of grandeur, in keeping with the Aston Martin brand. 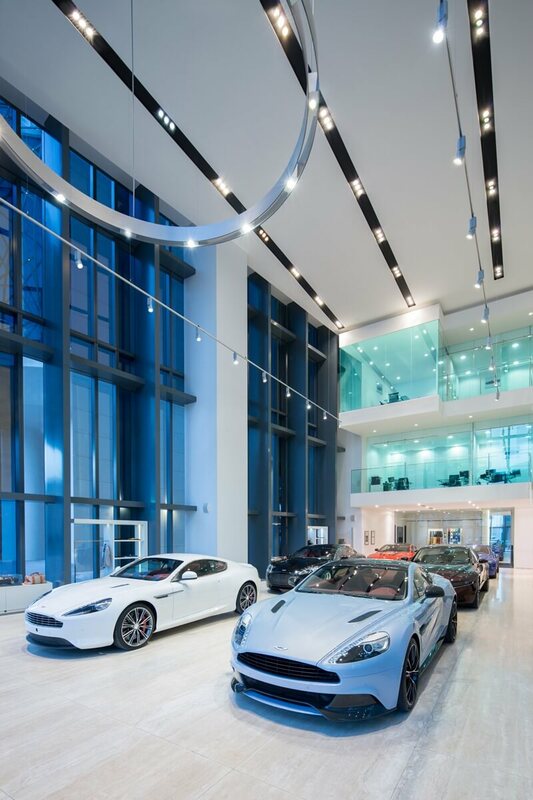 Originally, the space did not include mezzanines, which were necessary to provide space for the offices. 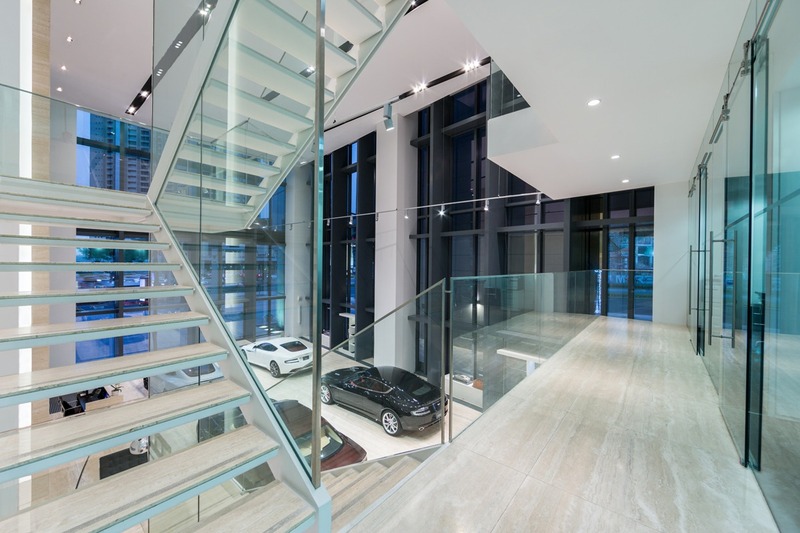 We have worked with the authorities to gain approvals which allowed the mezzanines to be added. 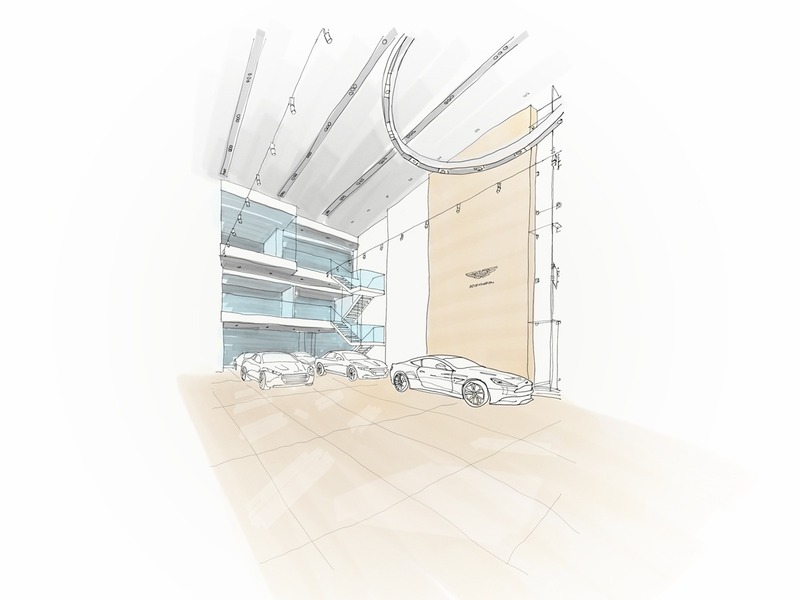 This created the space necessary to fulfill Aston Martin’s inspiration.